Here are some of my favorite QA interview questions and answers for quality professionals. During the QA interview, I keep in mind that quality professionals’ tools are transferable. They can take their tools from one company to another company in an entirely different industry and be productive. When I’m interviewing Quality Professionals, my QA interview questions focuses more the interviewee’s quality tools and how they used those tools. What is your ISO 9001 experience? Have you taken a company through registration? For Quality Assurance Managers, I expect they previously managed an ISO 9001 company. During the QA interview questions, they should be able to describe the ISO 9001 requirements. They should roughly know the 8 principles of ISO 9001. For Quality Engineers they should have worked in an ISO 9001 environment. They should know the basic systems such as document control and corrective action. What is your track record on ISO 9001 non conformities? If they were the management representative have them describe the non conformities found during the ISO 9001 surveillance audit. Can the interviewee describe the corrective action implemented for the non conformity? Does the corrective action seem reasonable? Be suspect of individuals who state they have zero non conformities. What is their experience with writing the QA Manual? Quality professionals are known for creating documentation. Has the interviewee created or updated a Quality Manual? What standard was the manual based on? Common answers to this are ISO 9001, TS 16949, Mil-Q, Mil- I, ISO 14001 and AS 9100. Can they provide an example? Who approved the manual? This lets you know that others reviewed the manual and believed the manual was appropriate to their business. If there was no approval process then the interviewee skipped key steps for setting up the Quality system. What is your experience in working with sampling plans? Please describe some of the standards. Quality professionals work with sampling plans. They are responsible for creating sampling plans to support inspection needs. They should know the standards. They should mention Mil Std 105e or Ansi Z1.4. They should also be familiar with zero acceptance standards. What is the difference between Mil Std 105 and Dodge Romig sampling plans? This question really lets you know that the interviewee understands sampling plans. Both are similar in that they create sample sizes depending on lot size, accept and reject criteria. However Dodge Romig includes defect % history into the calculation. Dodge Romig normally has smaller sampling sizes. Quality Engineers and Managers should be able to answer these QA interview questions. Provide your detail knowledge on data analysis? Quality assurance professionals use data analysis to make sound decisions for process improvements. What courses have the interviewee taken on statistics and data analysis? How does variation affect process improvement? Do they understand the two key methods to improve processes? The two main methods are shifting the average and reducing variation. Where has the interviewee used data to improve process and products? Here I am judging their statistical knowledge and looking for their abilities to apply the appropriate statistics. What is your SPC experience? Where have you used it? Quality Engineers and Quality Assurance professionals should know SPC (statistical process control) well. They should be able to give some examples of SPC applications during these QA interview questions. What does SPC do? What computer programs have you used for SPC? What processes have you set up with SPC. When sample size is 1 how do you determine the range? In a nutshell, the SPC tool shows when a process is out of control. There are many computer programs but one of the best is Hertzler. With regards to the SPC processes, there are an unlimited number of named processes. Durig these QA interview questions, I look for their reasoning behind using SPC on those processes. Did they find certain unstable processes? Did they reduce inspection sampling with SPC? Did they reduce process variation with SPC? Did they teach operators to use it? Did they share charts with customers? When sample size is 1 how do you determine the range for SPC? This question provides extensive insight into the interviewee understanding the math behind SPC. For most SPC, sample size one is not used. If sample size of one is used, the range is determined by the average differences from the previous readings. If they refer to a moving range chart, that answer is satisfactory. What is CpK? What is the main assumption behind the statistic? What is the equation? Quality professionals use the statistic CpK to give a single digit number that represents how well a process fits an engineering specification. A CpK number of 2 means the process is 6 sigma capable. The main assumption behind the statistic is that the process data is normal distributed. Have you ever dealt with actual customers? How do you deal with the customer when there is a quality problem? Quality professional addresses customer’s quality problems. These QA interview questions lets me see their experience with customer interface. What were the topics of conversation? How did the interviewee treat the customer? How did the interviewee calm the customer when there are quality problems. Here I need to see an urgency from the interviewee. It is important that the quality professional deals with the quality problem promptly. They quickly call the customer or send an email when there is a problem. Have you written formal corrective action letters to customers? After initiating corrective action, what is the most important thing to do? Formal corrective action letters should follow the 8D format. Quality professionals should know this format. The most important thing to do with corrective action is follow up. Too many times I have seen corrective actions were documented, actions were taken but 2 weeks later the permanent action disappears. Follow up is the most important thing to do for corrective action. What is the interviewee experience with setting up a calibration system? More QA interview questions deal with calibration because the calibration department normally falls under the quality department umbrella. Quality professionals should know the requirements for calibration. Have they ever setup or enforce calibration rules? Have they ever created documentation for calibration? Can they provide you an example of a calibration manual? A Quality Manager, QA Director or Quality Engineer should know calibration requirements forwards and backwards. What audits have you been involved with. What is important to recognize when doing an audit? Why Audit? Quality professionals conduct audits on a regular basis. When conducting an audit it is important to recognize that audits are for fact gathering. Audits make people nervous and a good auditor will put the person at ease. The auditor lets the employee know there will be no disciplinary action taken from the audit findings. The audit tool is used for improvement. If an employee is doing something different then the procedure, what action should be taken against the employee. Do you correct the employee on the spot? Unless you absolutely know that the employee is doing something that will cause non conformities, do not take any action against the employee. Discuss the issue with the employee for more input. Do not take any disciplinary action. Do not correct them on the spot. You document the findings for later review. The employee may actually have a better process than the procedure. See below for more QA interview questions. What is your experience with DOE. Where have you used DOE to improve the process. What is a DOE used for? What is the main statistical test behind DOE? Most QA professionals do not know DOEs. I’m wary of those who make stuff up on these QA interview questions. A DOE is a systematic method of conducting engineering tests. If there are multiple factors being studied, a DOE will find the principle factor and interactions with a minimal amount of engineering runs. The main statistic behind a DOE is the F test. What is your experience with reliability? What data distributions do most reliability studies follow? Again most QA professionals do not know about reliability. However if they have statistical training they may be able to answer the above QA interview questions. Reliability is monitoring a product to predict its useful life. Mean Time to Failure, MTTF or Mean Time Between Failures, MTBF is the main statistic. Reliability normally follows the Weibull or bathtub distribution. What statistical software have you use? During these QA interview questions, most will reply with Microsoft Excel. It’s a benefit to have those individuals who have used Minitab, JMP, SAS and / or Hertzler. It shows they have been exposed to other software and they can help the company select sound software tools for improvement. What other Quality Software have you used? Have they used special software for corrective actions such as 8D Manager? Have they use Snap Sampling Plans for creating inspection sample plans? Have they used software for brainstorm generation such as SWOT Manager? Have they used flow charting software for creating documents? Quality assurance professionals should know a wide variety of software for these are tools that improve processes and products. What is the importance of gage R and R studies? A Gage R&R, (reproducibility and repeatability) study exposes the measurement error within any measurement system. It tell us how much error the operator is contributing, how much error the instrument is contributing and the amount of natural error. It is desirable to have machine and operator error less than 20% of the total error. What Question Have You Asked or Experienced? 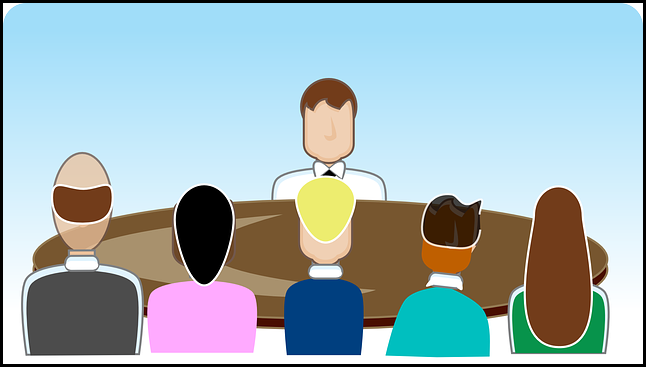 Tell us a question that you like to ask or been asked during a QA interview. Then tell us the expected answer or your answer. 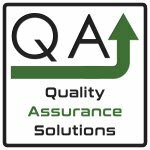 These QA interview questions provide insight into applicants for several Quality Assurance Jobs.